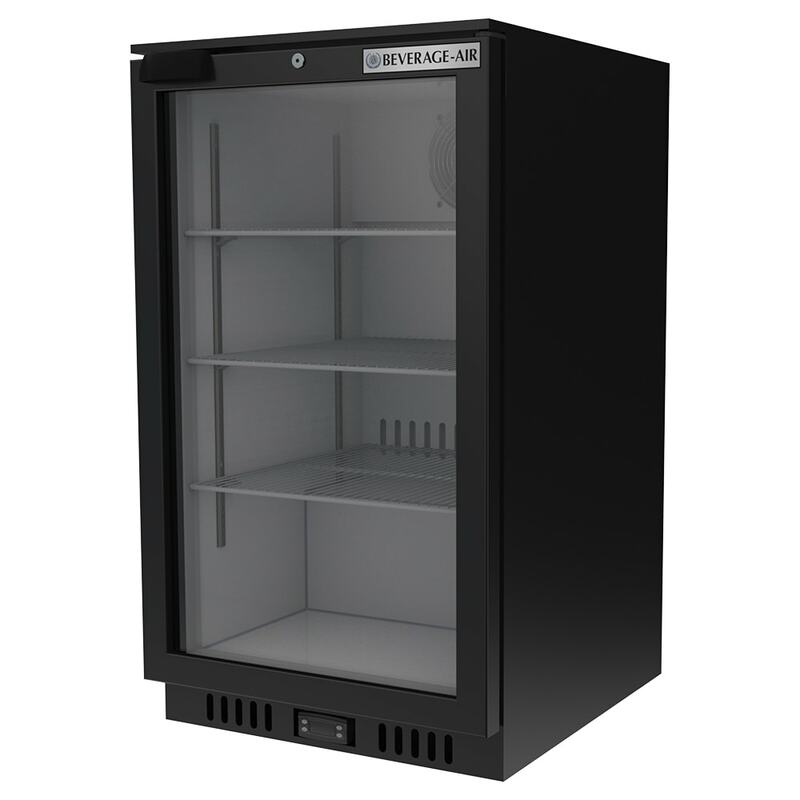 The Beverage Air CT96HC-1-B single-section countertop refrigerator provides product visibility from the outside with LED lights and a double-pane glass door to help merchandise products and increase sales. Its door has a lock, so the operator can limit cabinet access to reduce the risk of theft. The textured black exterior easily fits into different themes, while the white interior brightens the cabinet. 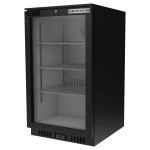 This Beverage Air CT96HC-1-B one-section display refrigerator comes with three shelves, two of which are adjustable for holding a variety of products.